The Results are available from this weekends WOAC Open Indoor Tournament, which several NAC members took part in. 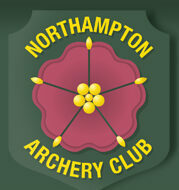 And, the Entry Form is now available for Wellingborough Open Archery Clubs Jim McKeown Memorial FITA 18 tournament on 11th & 12th February 2012. The venue is Wrenn School (London Rd site) Wellingborough. ← Dave Quemby Passes Another Milestone!